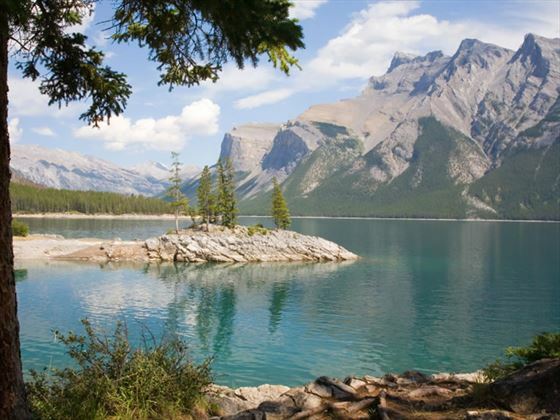 Take in the best of the Canadian Rockies at leisure on this relaxed yet awe-inspiring tour, journeying westwards from Calgary through Banff, Bow Falls, Surprise Corner and the Hoodoo rock formations. 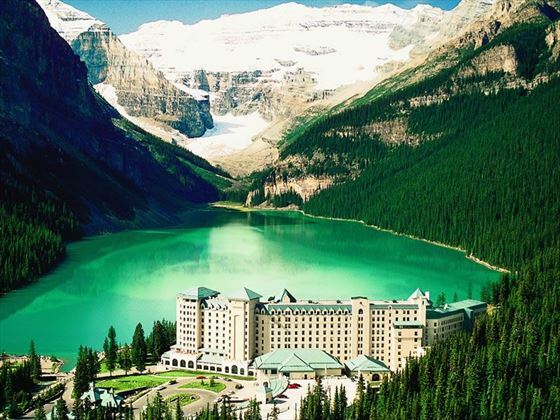 You’ll have plenty of time to explore this stunning area, from a ride in the Banff Gondola to the summit of Sulphur Mountain, to Lake Louise and the Athabasca Glacier. 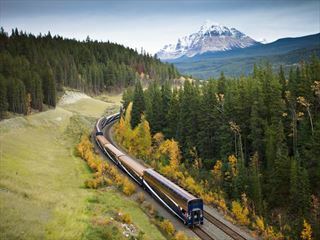 Two day Rocky Mountaineer train ride "Journey through the Clouds"
Leave Calgary this morning and travel west towards the Rocky Mountains. 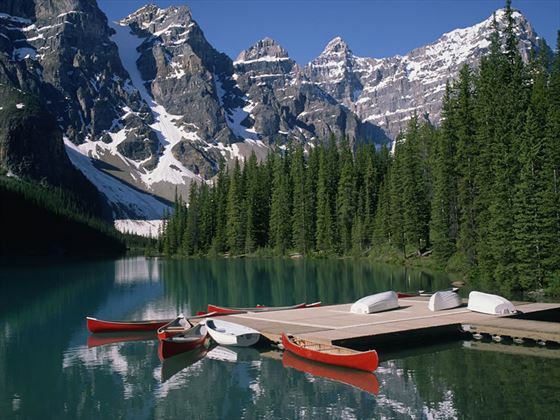 You will have a full day tour, ending in Banff, and taking in the highlights of this stunning part of Canada. 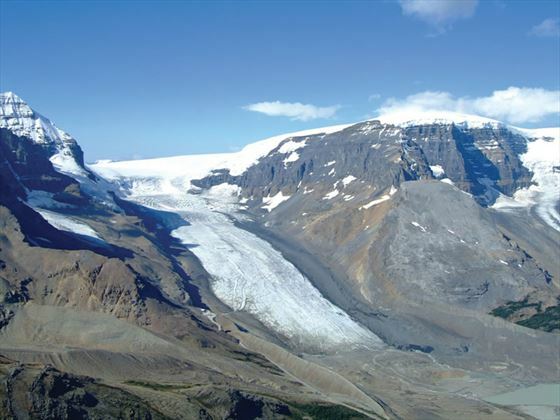 At Kananaskis you will have a spectacular experience on a 12 minute Panoramic Helicopter Tour for a birds-eye view of the Rockies. 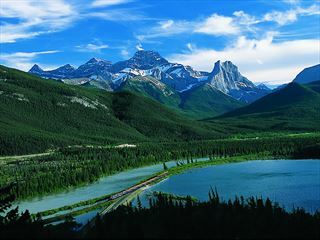 * The tour will continue to Bow Falls, Lake Minnewanka, Surprise Corner and the Hoodoos, including a trip on the Banff Gondola. Arrive in Banff late afternoon for a two night stay. Transfer independently early this afternoon to the Vancouver cruise terminal where you’ll board your ship. 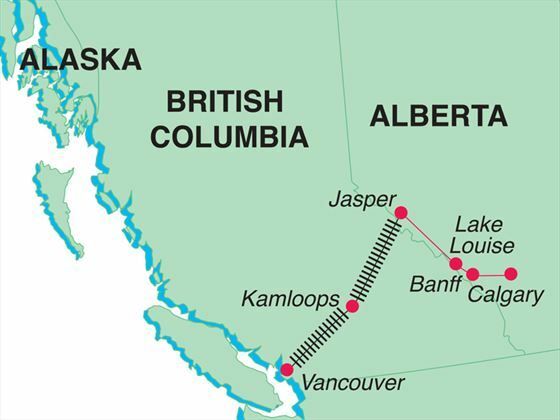 Today sees you journey through the dramatic Inside Passage. 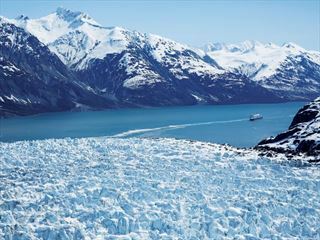 Juneau, the capital of Alaska, is located at the foot of the Gastineau Channel, with the Mendenhall Glacier and the Juneau Icefields at its back door. Outdoor pursuits are in abundance here, from kayaking and rafting to fishing and hiking through the stunning scenery – the long daylight hours means there’s plenty of time for your perfect Juneau adventure. Take time to get to know Skagway, a unique and quirky destination with its roots based firmly in the past. Visit the Red Onion Saloon with its honky-tonk piano, costumed barmaids and a treasure trove of memorabilia featuring vintage characters. Another spot to visit is the Klondike Gold Rush National Historical Park which boasts restored buildings and wooden boardwalks. A fantastic destination for people seeking wildlife as well as the beautiful surroundings, Glacier Bay National Park is a UNESCO World Heritage Site protecting a unique eco-system. The ever-changing landscape of snow-capped peaks, freshwater lakes, tidewater glaciers and deep fjords make this a truly stunning region and one of the highlights of your trip. 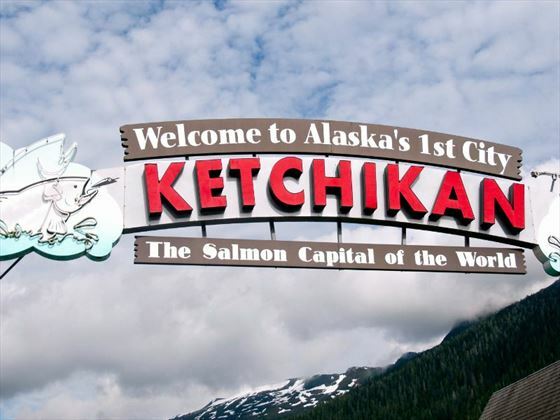 A small but scenic town built out over the water, Ketchikan is a unique destination found on the shores of the Tongass Narrows. Situated on Revillagigedo Island in southeast Alaska, this town is perfect for relaxing – wander along Creek Street, visit the Tongass Historical Museum and Totem Bight State Park, and admire the charm of the harbour. Enjoy sailing through the dramatic Inside Passage today. After breakfast you will disembark your cruise ship in Vancouver, where your holiday comes to an end. 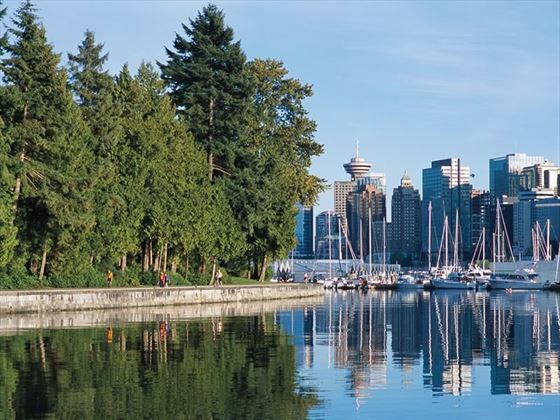 Transfers from Calgary Airport to Hotel, Hotel In Vancouver to Port and Port to Vancouver Airport. Gratuities on the tour and cruise. Cruise Gratuities are currently $12 per person per night. 15% service charge will be added to drinks purchased. 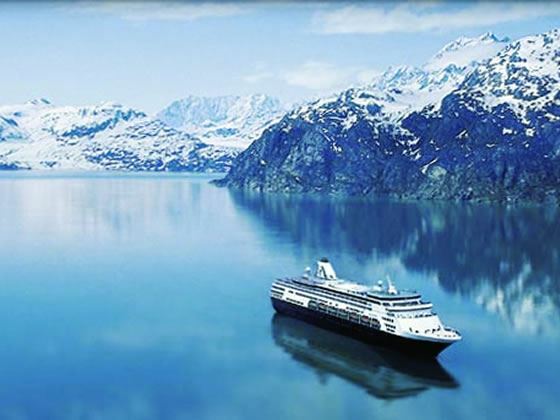 Free Beverage Credit Book your Holland American Alaska cruise in a Verandah cabin or above sailing Jul - Sept 19 and receive $150pp beverage credit.